This summer I've had a mild obsession with denim. When I saw this beauty on Sheinside.com I thought it would be a perfect addition to my summer wardrobe. Lo and behold, it definitely was the right choice. I mean do you eye that collar? Loving it. cute dress, and i love your fox bracelet! 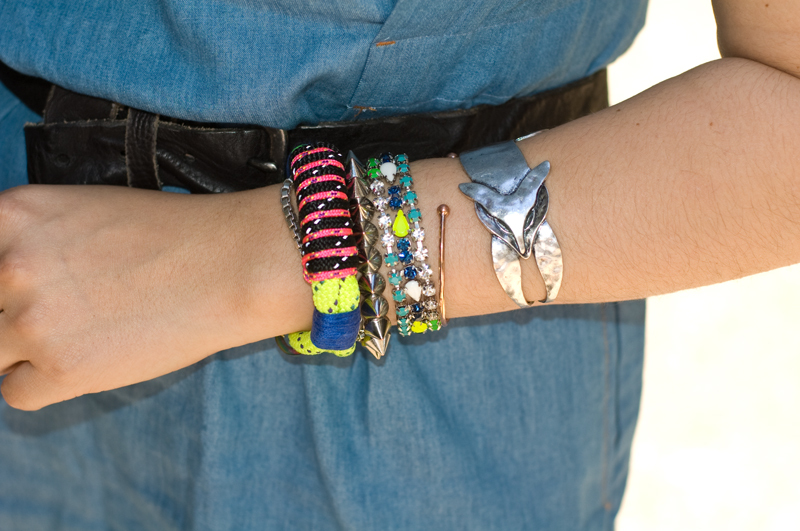 seriously, that fox bracelet is incredible. we need details! I love the lacy shorts underneath. I have really long legs (not complaining) but it makes dresses super short. Putting on little shorts makes me feel classier hahaha. love your hair do today, and those arms candies are so lovely! The dress is awesome and you look amazing in it! that is a super cute dress! LOVE the collar! awesome bracelets and cool chucks! Hello darling!! Thank you for your visit and kind comment on my blog!! Would you like to follow each other?? BTW this little denim dress I really a great summer staple!! dziękuję za odwiedziny:) świetnie to wszystko razem wygląda. Love your sunglasses and great bag! Love the denim dress with the lace peeking out from underneath! SO cute and i need your bag lady!! 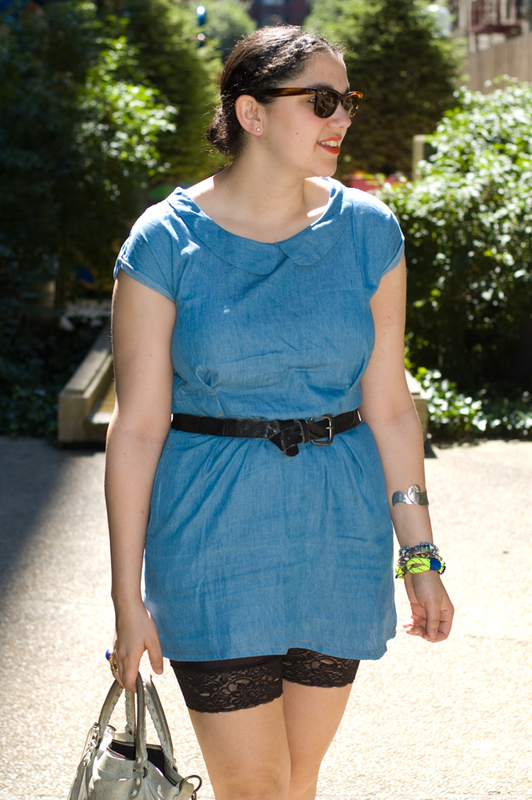 i love the denim with the peter pan collars! Loving your dress and bag!!! lovely photos! I like your fluo bracelet! I love anything with a Peter Pan collar! And you've got a pretty nice "arm party" going on! Love the peter pan collar on this dress! Hi Gaby how are you? I really love the arm candy! okay, officially in love with this look. you are just too adorable, girl! loving the lace shorts underneath!